E.U. referendum debaters are, predictably, obsessed with secular subjects, primarily those which ‘boil down’ to money and sustaining our debt-financed national standards of living (a few months ago 80% of our gross national product was owed to creditors). 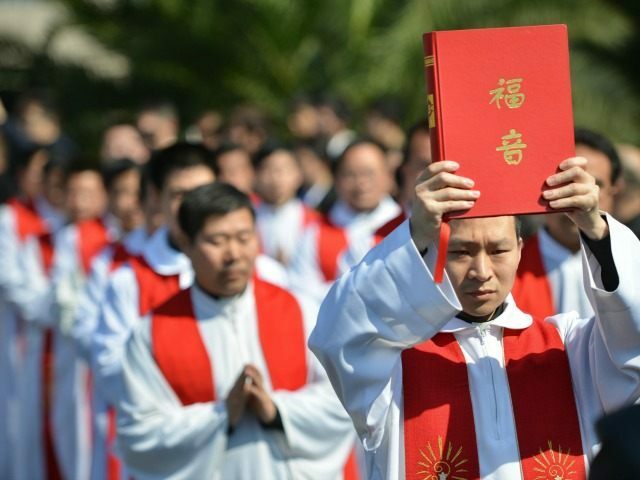 No noticeable attention is being paid to reasons why the referendum is important religiously, and to the fact that it puts U.K. Catholics in the same position as that of their Chinese counterparts. 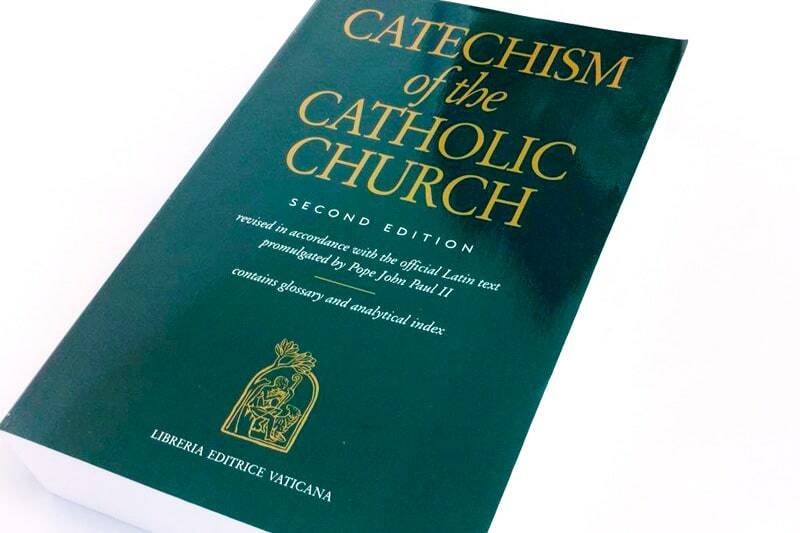 The “Catechism of the Catholic Church” acknowledges the need for governmental authority , but makes clear that its legitimacy is conditional on compliance with the moral order established by God, and that laws which contravene that order are not binding on people’s consciences . In other words, people are not obliged to regard immoral laws as correct. Apart from how immoral laws are regarded, should they be obeyed? The “Catechism” does not deal directly with that. It declares that people must be allowed to act according to their consciences (‘liberal’ Catholics’ favourite rule), but that ‘due limits’ can be imposed on that freedom . Crucially, the “Catechism” adds that laws imposing such limits must conform to ‘the objective moral order’ (unpopular with ‘liberals’). In “Veritatis Splendor” , Pope St. John Paul wrote that no legitimate exceptions can be made for intrinsically evil acts; in such cases, “the only morally good act is that of obeying the moral law and of refraining from the action which it forbids” (anathema to ‘liberals’). In “Evangelium Vitae” , for example, he wrote that it is never justifiable to vote for laws allowing abortion or to obey them. China’s recently-modified ‘one child’ policy comes quickly to mind in this context, but ‘Western’ countries have forfeited most of any inclination to be critical of it (muffled anyway by self-serving commercial factors). The governance of Western Europe, and no less the governance of the U.K., is based firmly on the order of priorities given by the patriotic Chinese pastor. Buried by attention to economic and other financially-related subjects is the fact that the E.U. referendum is about where people’s first duty lies religiously. The E.U. is primarily a political project, operating behind a commercial façade, aimed at “ever closer union,” and obliging members to conform. That would be fine if it were based on the right principles, interpreted correctly. Romano Prodi, when President of the European Commission, alleged that the Catholic Church should support E.U. expansion , but there was not even a hint of conviction that E.U. laws and policies should conform to Catholic principles. The Treaty of Amsterdam stated that the E.U. 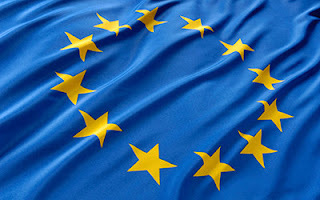 is founded on the principles of liberty, democracy, respect for human rights and fundamental freedoms, and according to the Treaty of Maastricht the general principles of law enforceable throughout the E.U. are those set out in the European Convention for the Protection of Human Rights and Fundamental Freedoms. What’s the problem? It is that European law on ‘human rights and fundamental freedoms’ exists in a philosophical vacuum. Instead of being in conformity with the objective moral order established by God, it repudiates that “Catechism”-prescribed standard of legitimacy. It assumes that no-one really knows what truth and right mean, and therefore enshrines humanism’s spurious and illusory ‘neutrality’ between beliefs. Indeed, the E.U’s Treaty of Lisbon explicitly puts religion and humanism on a par in terms of their inspirational worth. Experience has proved, however, that they are not on a par in practice; the courts uphold policies which contradict the objective moral order established by God. Voting for the E.U. means in effect voting for ‘EUmanism’. Therefore the referendum is a challenge and an opportunity for Christians. The challenge is to our sense of priorities. Do we give first place to money and material advantage, thereby making ourselves in practice indistinguishable from the surrounding secularism, or to the moral order established by God? Most Christians in the U.K. do not give the requisite “full submission of intellect and will” to the Catholic Church’s unique authority to interpret and teach God’s will , so they lack the correct understanding of His moral order. Seemingly many people nail their colours “firmly to the fence,” as was written of a former Archbishop of Canterbury. It is not obvious that most Catholics are any different in that way; lack of significant resistance shows that they are oblivious or indifferent to the obvious, ubiquitous, multi-form, legally-protected, tax-financed, systematic, inculturated trampling on Catholic principles. By consistently directing attention away from such embarrassing subjects and making comments notable only for their sedative style, our ‘leaders’ are in practice similarly uninterested in rectifying the contra-Catholic status quo. Regrettably and unsurprisingly, the latest evidence of that has been provided by statements from the hierarchy about the E.U. referendum. There were some ‘crumbs of comfort’ for Catholics who want more than de facto surrender to secular supremacy. One ‘crumb’ was that “[W]hat we should be saying as bishops…is not the same thing [as what] we might say as citizens.” That amounts to a recognition (although it could have been made more clear) that there is a difference between a Catholic assessment and a secular assessment. The other ‘crumb’ was that “This referendum…is about much more than economics.” “[T]he economic arguments are not the whole picture by any means… [Catholics should] have a broad canvas of consideration because economics is not the crucial issue in this debate.” Hear, hear! • “build[ing] a Europe which revolves not around the economy but around the sacredness of the human person, around inalienable values…” No risky specifics there. • “what will best serve the dignity of all people both within Europe and beyond.” Incomprehensibly vague. • “those values we cherish as a nation and as Catholics” (the latter word, equivalent to 0.2 per cent of the statement, was the sole denominational sign). Which ones do we cherish as a nation, or even as Catholics, and, even if we seem to agree with particular words, are we of one mind regarding their meaning – in practice as well as in principle? Questions for endless debate. The statement says that “mutual respect and civility” are “high among [the] cherished values.” That ‘sets the bar’ very low, and typifies the minimalism which pervades the identification of religiously-requisite behaviour. As a letter to “The Catholic Herald” (31st August 2012) stated, “Much teaching and pastoral example today implies that being a Catholic is simply one way to cultivate civic virtue and good manners.” That suits some people, such as a lady who enthused that she loved Anglicanism “because it does not make any demands on you!” . It does not suit others, such as the vicar to whom that lady said it, and who became disillusioned with ‘packaging’ of God as being “so understanding as to be undemanding” . • “how best we can promote justice and peace.” More safe vacuity. • “how [business] serves the prosperity and stability of a global society.” Again, uselessly vague. Furthermore, that is a mainly-secular subject, and therefore there is very little of a distinctively-Catholic character which can be said about it. • a “need continually to ask ourselves: who is my neighbour?... we are called to be generous and welcoming to all others, especially the most vulnerable.” Rather platitudinous, even though tinged with a hint of controversy. • “not forget[ing] the profoundly religious roots of European nations.” That is the past, but Pope St. John Paul (the Great) wrote that “Even in countries evangelised many centuries ago, the reality of a ‘Christian society’ which, amid all the frailties which have always marked human life, measured itself explicitly on gospel values, is now gone” , and that “European culture gives the impression of ‘silent apostasy’ on the part of people who have all that they need and who live as if God does not exist” . Cardinal Christoph Schonborn told an audience at the Catholic University of America that Europe is “now the least religious continent in the world” . • “assert[ing] the Christian character of European societies.” What? Christian character, now? (See previous paragraph.) Dear oh dear oh dear. Dreamland. • “a two thousand year-old Christian culture [which] is a dynamic spiritual, moral and intellectual resource as we address the future.” It is?! More dreaming. • “[three essential points that must be considered in the lead up to the vote:] pray[ing] for the guidance of the Holy Spirit; inform[ing] ourselves of the arguments on both sides of the debate; and [voting] with a view to the common good of all.” “Before voting, ask yourself the following question: How in the light of the Gospel, can my vote best serve the common good?” Like the other general suggestions, all of us can accept those, but (except for praying for guidance and considering the Gospel, which would be alien to the thinking of the general public) they fit the general episcopal pattern of comfortable compatibility with modern secular realities and priorities. Although “the common good” is a basic principle of Catholic social teaching , no genius is needed for realisation that (as well as being opaque) it is susceptible to invocation as an excuse for ‘bargaining away’ Catholic principles which – in ‘concrete’ practice, whatever ‘lip-service’ is paid in woolly words – are resolutely repudiated by societies and governments all around the world. ‘Damage-limitation’ ‘minimalists’ trying to co-exist with and to pacify dominant opposition, and salvage remnants of respect, are likely to hide behind ‘the common good’. For all those reasons, the bishops’ comments on the E.U. referendum constitute another example of a tendency which a now-retired bishop lamented in 2008. Because, he wrote, bishops have “divergent views” but have to find words by which to give an impression of unity, their statements “have tendency to be…flat and ‘safe’ at a time when we need passionate and courageous public statements that dare to speak the full truth” . There is also an apparent idea (for which, despite the feebleness and vagueness of their comments, it might be unfair to blame the bishops) that religion should not govern what happens beyond church walls; “This split between the faith which many profess and their daily lives deserves to be counted among the more serious errors of our age” . The opportunity offered by the referendum arises from the unpredictable result. It is, fortunately, much less than usually bedevilled by voters’ preferences between Conservative, Labour and other Parties. It could be decided by the votes of a small minority of Catholics who reject relativist neutrality and desire “that the divine law is inscribed in the life of the earthly city” (ibid.). Has that law been submerged too deeply beneath the “tsunami of secularism” which, said Cardinal Donald Wuerl, has swept over Western Europe ? The more important question for each Catholic should be ‘Do you want the divine law to be salvaged?’ Serious floods have affected parts of England during recent years. People whose valuables were submerged wanted the water-level reduced. They certainly would not have voted for sustaining it. The EU functions on the basis of a theological error called 'collectivism.' called. This holds that the needs of an individual are less important than the needs of the group or political body to which they belong. The EU showed this in an ugly way by how they handled the economic crisis in Greece. There it imposed tremendous suffering on a huge number of people in order to avoid putting the Euro currency at more serious risk. But the people's suffering was (and still is) personal, whereas the Euro currency is a purely political project. We, the British people, can reject being dominated by the evil of collectivism by leaving the EU. However, we would still need to fight against the equal and opposite error of 'individualism,' which holds that individuals should be able to have whatever they want - if they can get it. This is wrong because it puts people in competition with one another, rather than fostering co-operation for the common good. Individualism is certainly rife in our own society and must be combatted, but we would have greater freedom to do this in a whole variety of ways once we are out of the EU and no longer subject to its coercive constraints on our individual and collective actions, speech and writing. Ave Maria! I do indeed agree with you Linda. It certainly is easier to perhaps cause change in a society that freely exists in it's own right, which is able to make it's own decisions. The ability to do this is greater with the smaller population. Working with the EU, I think this would be next to impossible... Do you think that we will be 'out' in the upcoming referendum? I agreed with all the points in this article, but was disappointed by its cynicism; and, therefore, I really appreciated your comment, Linda-Teresa. Yes Collectivism and Individualism are both wrong. Should we leave the EU, we would have to combat Individualism; but how would we have greater freedom to do this 'in a whole variety of ways' once we are out of the EU'? 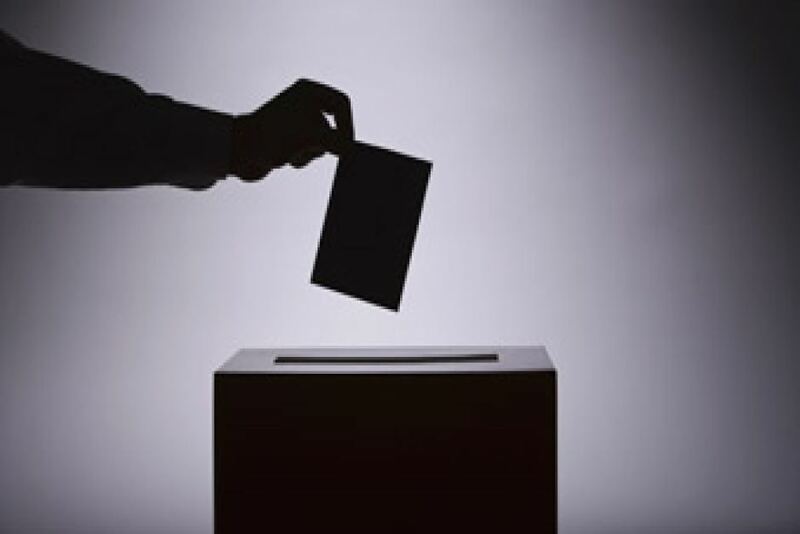 It is important that Catholics vote for what is truly the 'Common Good' and that our vote should be a response to what we perceive to be God's will. How can we fight the total destruction of the family in the UK with its climate of persecution towards Christians; and fight it alone? I wonder if Poland standing courageously against abortion may have an influence on the rest of Europe. Ave Maria! Miriam, I do believe that once we have our referendum the gloves will come off for Poland. If the EU go in hard on Poland, that might give more ammunition for those wanting to leave the EU in GB. We live in a global society, how will being in or out of the EU make a difference in working together? One of the 'varieties' would be having greater freedom to determine our laws for women's reproductive health. In the event that the UK wishes to change to a more pro-life stance (however unlikely it might be), I'm sure the EU would get involved. Do you remember how marriage was collectively redefined over the continent in a very short space in time? I wonder what role the EU played here?